Bungee jumping isn’t as scary as it seems, especially when you look at it from a mathematical perspective! 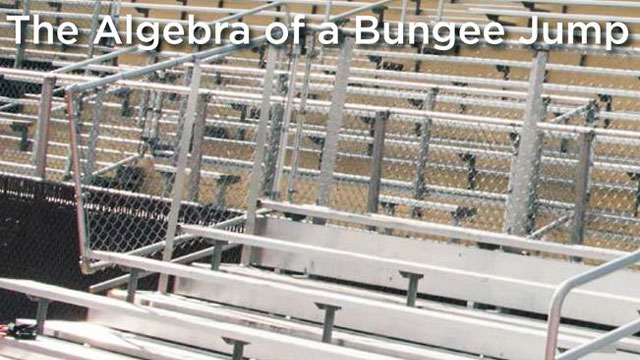 In this set of educational resources, students will apply an Algebra I equation to the real-life experience of bungee jumping. Use the lesson to challenge them to design an egg bungee jump with rubber bands and a plastic bag – they will have to predict the number of rubber bands required for a 16 feet high bungee egg drop off their school stadium bleachers.